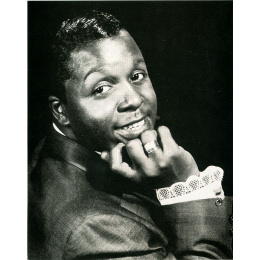 Sam’s Sound Stage 7 recordings were amongst the best on the label, and are rightly held in high esteem by southern soul fans. His other, more obscure, recordings aren’t so widely known, as in the main they haven’t been reissued, and the fact that many of them are blues hasn’t endeared them to soul fans either – but that’s their loss. They all feature his flexible, crying tenor voice, with some great near falsetto excursions, and should therefore be considered indispensable. He was born in Jackson, MS on 14 June 1941, and unlike many of his contemporaries in the music business went straight to professional secular singing rather than graduating from a gospel group. His influences were bluesmen as well as gospel singers, and he did early gigs with people like Jimmy Reed and Clyde McPhatter which must have been an education in itself. 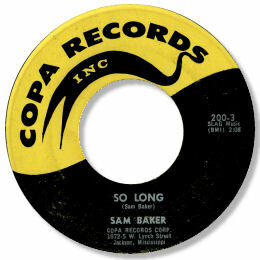 His first 45, which came out around the turn of the 60s was for the locally based Copa label (not related apparently to the better known Texas concern). “Crazy About You Baby” was a fine 12 bar rocking blues, and the ballad flip So Long, highly sought after by doo-wop collectors because of the male backing chorus, is a really splendid showcase for his soaring vocal. His next sessions were for Nashville DJ Hoss Allen in 1963 and 1964. Hoss issued 3 singles on labels under his control, and tracks from the session also appeared on Chicago’s USA. Perhaps the pick of these cuts was Baker’s fine interpretation of the great blues ballad Best Of Luck To You a hit for Earl Gaines on HBR not long after, although “Stormin’ And Rainin’ Blues” and his version of the celebrated “Sweet Little Angel” are first class straightahead blues as well. Southern soul enthusiasts will recognise “You’d Better Check What You Got” as Joe Tex’s “Hold What You Got” in a not terribly effective disguise. A one-off Miami recording featuring Frank Williams Rocketeers completed his pre-SS7 output – and what a fine release it was. “These Blues Are Getting Me Down” is another of those fine blues ballads at which he excelled, and “Do Right Man” is a sassy southern workout, much in demand by the funk crowd. Just love that baritone sax! After a strange one-off duet with Nancy Cohen for Ted Jarrett’s budget Hit label, Baker joined Sound Stage 7 for the most settled and artistically satisfying period of his life. Apart from Joe Simon, Baker had more 45s issued by John Richbourg on his SS7 label than any other artist – a tribute to both to his talent and Richbourg’s enduring good taste. His second 45, the outstanding Sometimes You Have To Cry, may just be his best ever release. 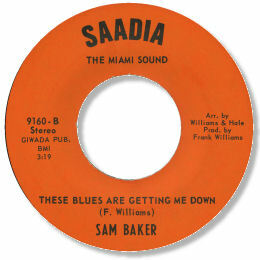 Cut at Stax with the house band in superlative form, Baker is simply unstoppable on his first pure soul effort. The Nashville recorded beat ballad “You Can’t See The Blood” was a good follow-up, but the deep “Let Me Come On Home” and the excellent “Just A Glance Away” were superior. Even better still was the Memphis session that produced That’s All I Want From You and “I Believe In You” with the AGP band doing their usual high quality job in the background. After a artistic dip, Baker returned to scratch with the lovely, well crafted slowie “I Love You” in 1969, and his best uptempo song for Richbourg “It’s All Over” later the same year. Throughout his stay with SS7 Baker reportedly had many personal problems and Richbourg and he parted company before the last 45 was issued. Baker’s Hollywood single was very good indeed. The blues “Slow Down Baby” is fine, but the plodding flip Why Does A Woman Treat A Man So Mean which builds to a fine climax as the horns push Baker further and further into his higher register, is one of his very best vocals of them all. In terms of singles, that was it. 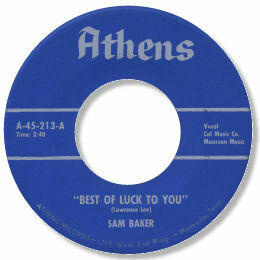 Baker was still active in the Jackson area during the early 70s as witnessed by his name appearing as producer on Geater Davis’ excellent Ace cut “Nice And Easy”. His personal problems may have worsened over time and he was last reported in Mississippi in the mid 80s. A sad finale to a great singer’s career. UPDATE ~ With the release of the Soulscape CD "I Believe In You" which brings together all his wonderful SS7 recordings, and a detailed interview with Sam in issue 52 of In The Basement I am very pleased to say that recognition of Sam's contribution to soul music has gone up several notches. The man himslelf is alive and well in a managed facility in his home town of Jackson, MS.
1. There are several unissued Sound Stage 7 recordings still to see the light of day. 2. Andy Aitchison very lkindly provided a run down of Sam's tracks which appear on CDs other than the Soulscape one mentioned above. They are:-"Why Does a Woman Treat a Man So Bad", " Little Mama", "Rainin' and Stormin'", "Keep on Scratchin'", " Sweet Little Angel" and "Tossin' and Turnin'" are on "The Best of Hermitage Records (Night Train Intl 7044)" (but beware the sound quality from this lable), "Do Right Man" is on "Florida Funk: 1968-1975 (Jazzman NA5029)" and also on "Nashville's Got The Beat! (ROAD RDBL 44)", which has "These Blues Are Killing Me" on it as well. I put "Why Does A Woman Treat A Man So Bad" on King's Serious Soul: Too Much Pain (Kent CDKEND 194) so I ought to have mentioned it here before, and finally and most importantly "Stormin' And Rainin' Blues", "Keep On Scratchin'", "You Better Check Out What You Got", and " He'll Be Sorry" are on West Coast Modern Blues 1960's, Vol. 2 (P-Vine PCD-3063). The reson for their importance is that the last cut is a previously unissued one from his days with Hoss Allen. I'm very grateful to Andy for digging all these pieces of info out.